It’s not like we’re begging for games. It’s just that some videogames absolutely deserve to be experienced by the most players possible. History in the making, classics that should be free, accessible to everybody. Here we list some of them. Games that we’re never forgotten, despite having more than 10 years on their shoulders. If you can find a copy, then play them, learn from them and see how they influenced what we play nowadays. 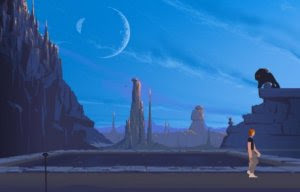 Another World is a fantastic and revolutionary creation of french developer Delphine Software. The new graphic style and fluid animation was absolutely stunning and it amazed the entire world, previously so wary of the ‘crazy french games’. The spiritual sequel, Flashback, was also fantastic, but Another World was an incredible adventure, filled with surprises and emotions. It should be experimented by every player. Oh, and let’s forget Fade to Black, the sequel to Flashback, that came bundled with awkward camera and frustrating controls. A fabulous adventure with a heart. 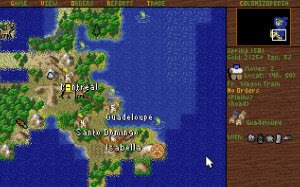 Microprose released Colonization in 1994, a turn-based strategy game inspired by Civilization but with its own personality. It stole days and days from millions of gamers, who would go to any lenghts to colonize a piece of land and in the end were honored by giving their names to a bird. Or something. The most addictive thing ever! 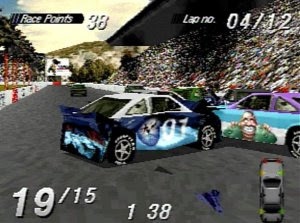 Created by Reflections, this is a racing game with the added bonus of wrecking other cars. You can race, you can finish in first place, but in some modes you also score by crashing into opponents. It spawned several sequels and quite a few impersonators, of which FlatOut is the most known. The damage model was absolutely stunning. 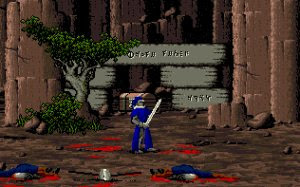 Moonstone: A Hard Days Knight blended several genres, but it was the fighting that remained engraved in players’ memories. The knights died in the goriest ways, limbs fly and blood is spilt all over the place. Blood is good! In videogames, naturally! 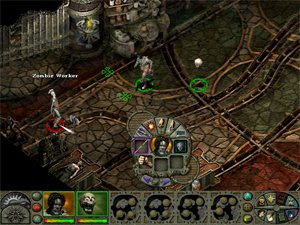 Planescape: Torment arrived in the wake of the Fallout games and is another brilliant RPG that didn’t sell as well as it deserved. The Nameless One is the protagonist, who awakes without any memories only to quickly find out that he’s immortal. The plot is heavily text-based and the intertwining stories are filled with satire and dark humor. It’s a cult classic and thousands of players still remember it fondly. A role-playing game with its own – rotting – identity. 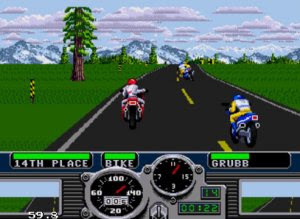 Road Rash is a violent motorcycle-racing videogame where the player had to use all means to arrive in first place. Not just racing but also hitting other bikers with nunchucks, clubs and stuff like that. There are rumors that a new chapter may be in production, although Electronic Arts remains silent about it. It was fun to race and fight at the same time, and the environment was one of the most realistic to date. 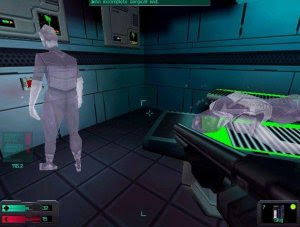 System Shock was released by the now defunct Looking Glass Studios, receiving critical acclaim but poor sales. It was revolutionary for the time, featuring innovations like climbing, ducking and leaning in a true 3D environment. Don’t laugh, it was revolutionary in the 90’s! The sequel, System Shock 2, played the same tune – critical acclaim and poor sales. Spiritual sequel BioShock corrected this, being considered one of the best games of 2007 and selling like hotcakes. The free 3D environment was revolutionary. It’s made by Blizzard, you know, the same guys from Diablo, Warcraft and Starcraft. Wait, actually, it was made by Silicon & Synapse, before they turned into Blizzard. The Lost Vikings was the most clever platform game, putting us in control of three different vikings who had to work together to navigate the levels, using their distinct abilities. The player only controlled one at a time. A sequel was released in 1994. A fun platform game that required constant reflexion. Sure, there’s Loom, Maniac Mansion or Full Throttle, but Guybrush Threepwood is undoubtedly the most badass – often dumbass – character of videogaming history. He wanted to be a pirate and he mostly succeeded, even going against a supernatural foe – LeChuck, with its by then dark beard. 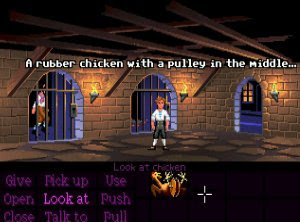 The latest game in the series, Escape from Monkey Island, was released in 2000 to a positive reception, but far from critical acclaim. Since then, there are rumors of a fifth game, but nothing has yet surfaced. Point & Click was never this funny! 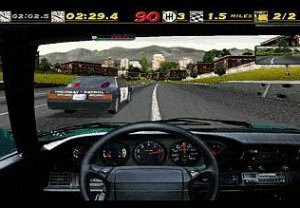 The Need For Speed (yes, with a ‘The’ in the name) was first released on the 3DO on 1994 and a year later on PC. 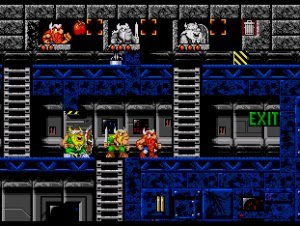 It featured realistic graphics and handling, but most of the sequels opted for a more arcade feeling. If you’re uncomfortable with this classic, then by all means choose 4D Sports Driving, a flawed but revolutionary game that offered different camera views, replays and a track editor. And it was developed by Distinctive Software, later responsible for this same The Need For Speed under the EA brand. It paved the way to a lot of driving games.